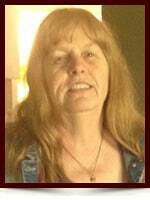 Colleen Alice Saunders - Edmonton's Burial & Cremation Professionals | Trinity Funeral Home Ltd.
On May 24, 2016 Colleen Saunders passed away at the age of 64. Colleen leaves to mourn: her son Kirk Saunders and daughter Jade (Matt) Hamilton; grandchildren: Miguel Estrada, Keisha and Tyrell Thomas; her three brothers: Alan (Judy) Holtby, Russell (Vivian) Holtby and Doug (Marie) Holtby; sister Linda Holtby as well as many extended family and friends. Colleen was predeceased by her daughter Connie-Lynn Thomas as well as her parents Kenneth and Constance Holtby. The family ask that you would join them for a celebration of Colleen’s life on June 12, 2:00PM at the Hamilton’s residence. I was so very sad and sorry to hear of my good friend’s passing. She was a great person and cherished friend.I will cherish my great memories of our time together. I will never forget all the wonderful times we spent together. You have my heartfelt sympathy. I am very sorry for the loss of your dear loved one. No one wants to happen this as God has promised to, one day soon, eliminate death forever, along with all sickness, pain, and sorrow. (Rev.21:4) He has also promised to reunite us with our loved ones on a restored paradise earth. The Bible says he yearns to do this. (John 5:28,29; Job 14:14,15) I hope these scriptures will bring comfort to each of you as we will meet Colleen again soon. I have so many fond memories growing up with my sister. She never failed to inspire everyone who knew her with her incredible work ethic and positive attitude. I will miss her sense of humour and the love she shared with everyone she knew. Gone much too soon, but now at peace. There are no words. I know she’s at peace and that she is sitting with a coke up there in heaven having so many chats and giggles with my Mom.